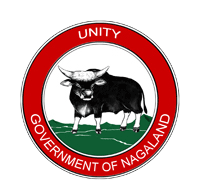 This website is designed, developed & maintained by the Nagaland State e-Governance Society for the Department of Personnel & Administrative Reforms, Government of Nagaland. The Information posted on this website could include hypertext links or pointers to information created and maintained by non-Government/private organizations. The Department of Personnel & Administrative Reforms is providing these links and pointers solely for your information and convenience. When you select a link to an outside website, you are leaving the Department of Personnel & Administrative Reforms website and are subject to the privacy and security policies of the owners/sponsors of the outside website. The Department of Personnel & Administrative Reforms, does not guarantee the availability of such linked pages at all times.